For those of you with kids or who are young at heart… There’s a new cartoon on Cartoon Network called “Adventure Time” that is a kinda young, demented version of D&D. It stars a kid named Finn who is a self-described “adventurer” always on a quest, and his intelligent transforming animal companion Jake, a dog who can grow big and stretch, who often serves as a mount. Finn calls himself a “paladin” in one episode, and when asked to kill a “Neutral ant” without provocation, responds “No way man, that’s against my alignment.” They are fighting a Wall of Flesh in a dark, evil forest even as I write. If you want to get your kid interested in D&D, there are worse places to start! Forget misguided attempts to get kids into gaming with dumbed-down-but-still-complex-D&D-variants – this is custom made. 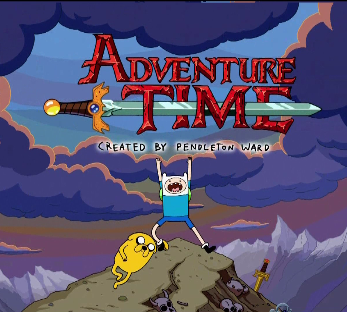 An “Adventure Time Adventure Game” with simple rules would be a huge win for kiddos RP’ing. I love Adventure Time! I’m giving my players bonus xp if they watch it with their kids. My kids love it too. My wife, not so much, which means it’s full of D&D goodness.